Technology and fun are at the core of everything we do at Stem Edulinks. Whether you're six, twelve, fourteen, or somewhere in-between, we have a program that will spark your interest. 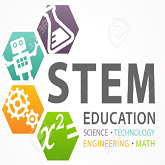 Co-ed programs include Stem Edulinks Camps for ages 7–14. We specialize in the studies of Programming, App Development, Robotics, Game Design & Development, 3D Modelling, Animation, 3D Printing and more. This course is aimed for kids between 8 and 16 and they'll learn how to make simple games, stories and animation using Scratch & Minecraft, a visual programming platform for children created by the Massachusetts Institute of Technology (MIT). 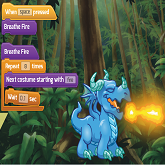 Scratch makes it very simple for kids to understand basic coding concepts and to make their creations come true by just dragging and dropping elements and connecting them with each other. It is highly visual, interactive and fun! The course is project and concept based, this means we'll work though out actual examples that you can modify and play with afterwards. During the project we will explain the logics of programming and how to use those logics in different scenarios. · Using intuitive building blocks to visually craft simple web games, stories and animations. · Grasping programming concepts such as conditions and loops. Taught with a project-based methodology. · Make their creations interactive for the users. · Share their games and animations so that other people can play and modify them. Looking for new activities to inspire your child outside of school? We have several kids’ robotics programs available to fully engage and challenge your aspiring engineer, computer programmer or scientist. First timer? No problem! Your child is welcome. 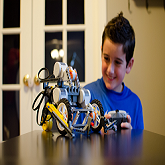 He or she can jump into Robotics basics without any prior experience. In each Robotics for Kids class, your child and a buddy work together to plan and build a new robot using LEGO® bricks, letting their creativity and imaginations loose. Along the way, they learn science and engineering concepts, such as how pulleys, levers and motors work. As the kids’ robots take shape, they experiment with LEGO® Education’s award-winning WeDo™ software. They discover how to apply computer programming concepts and find new ways to get their “boat” moving. 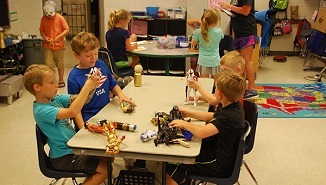 At the end of each robotics class, your child enjoys a wrap-up activity to reinforce the STEM skills he or she learned in class. (You’ll hear all about it on the way home. 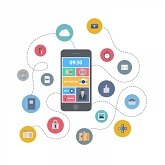 Making Android & IOS Apps has sort of always been thought of as some magical process that only programmers can do. It was never thought possible that anybody would be able to make Android Apps. I'm here to tell you that it is possible! Plus, you never have to write a single line of code! In this course I teach you how to use tools to make Android Apps using an easy mouse-driven drag and drop block system to make your app work. You build the user interface visually, and then just click the blocks together using the mouse to make it work. In this course we teach kids, over 10 hours of instruction, how to leverage the power of App Inventor to make Android Apps easily and without coding. It's set at a pace that starts out at a beginner level and works it's way up to a more advanced level to include making varios games / Apps . If you have any questions about our couses , our programs, or if you would like some general advice on suitablity of course / program for your kids, please do call us, email us, complete the form below, or drop us a note.